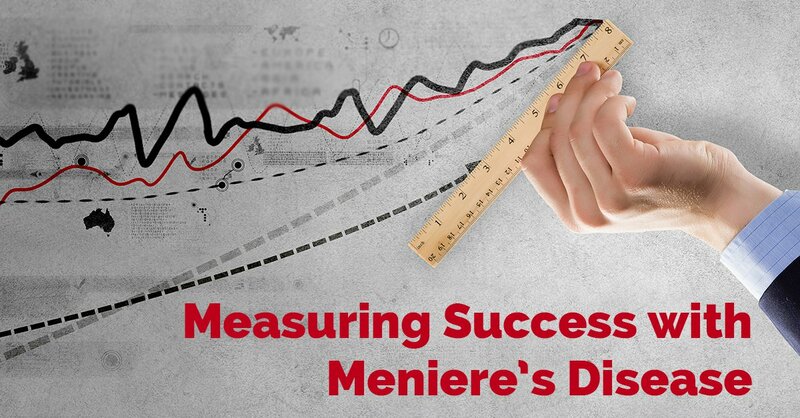 How do you measure success with Meniere’s disease? When everyone is affected so differently, it can be hard to know where you stand. The symptoms can be debilitating and even if you’re able to manage your symptoms effectively, your life won’t be what it was before. I talk a lot about hope, and conquering Meniere’s disease, but what exactly does that mean? How can you possibly conquer an incurable illness? The answer is simple. And it has very little to do with managing your symptoms. It’s about finding a better way to live the life you still have and making the most of the hand you’ve been dealt. I truly believe that every single one of us can live a successful and meaningful life with Meniere’s disease, regardless of the difficulties. It’s important to understand that everyone experiences Meniere’s disease differently. Some people are able to manage their symptoms with lifestyle changes, medication or surgery. Others may find they don’t respond very well to any treatments at all. But living well with Meniere’s disease isn’t all about your symptoms. It isn’t about how much you can accomplish, or how hard you fight to get better. First and foremost, it’s about acceptance. For most of us, Meniere’s disease will be one of the most difficult things we’ll ever have to endure. The challenges and complexities are enormous. And the rules of the game can change in an instant. But eventually, we all need to accept the fact that we have Meniere’s disease. We didn’t choose to be sick, yet at the same time, we aren’t powerless. Conquering Meniere’s disease is also about understanding that power. When asked about living with Parkinson’s disease in an interview, Michael J Fox replied, “I often say, now I don’t have any choice whether or not I have Parkinson’s, but surrounding that non-choice are a million other choices that I can make.” It’s an empowering thought. We can’t change the fact that we have Meniere’s disease, but we can choose to change the parts of ourselves, and our lives, that we do still control. Understanding your power is a big part of having success with Meniere’s disease. But so is consistency. If something is working for you, whether medical intervention, lifestyle management, or anything else, it’s important to be consistent. When things are going well, it’s very easy to stop doing the things that helped us feel better in the first place. Even on our best days, Meniere’s disease is still lurking about in the shadows. Living well with Meniere’s disease means being consistent with our lifestyle, our medical treatment, our exercise, our diet, and our health, especially when things are going well. Conquering Meniere’s disease is also about resilience. With such an unpredictable illness, our sense of happiness is often predicated on our ability to roll with the punches. It’s about finding pleasure and a sense of contentment in the little things, wherever and whenever we can. It’s about holding on to hope on our worst days. It’s remembering that we’re playing the long game and always being ready to pounce on an opportunity when things are going well. And perhaps most importantly of all, conquering Meniere’s disease is about finding a way to feel useful again. To have some sense of purpose and a passion for the life we still have. You may not be able to continue working the same job. You may not be able to spend as much time with your friends or your family. But every single one of us has the ability to find meaning in our lives. We all have the potential to help others in some way, to express ourselves creatively, and to share our knowledge and love with the world. I hope I haven’t convinced you that I have it all together all the time. I don’t. I know I might come off that way when things are good, but life with a chronic illness is rarely smooth sailing for long. I still have difficult, sometimes terrible days. And finding a sense of balance is a constant struggle. But I am happy most of the time. Even on difficult days. And it’s a hard-won sort of happiness, too. It’s more robust. A feeling of triumph in the face of tremendous adversity. I know I’ve come a long way, though I’m definitely not cured. There’s no such thing. At least not yet. And the last few weeks have been somewhat strange for me. I’ve bounced from high point to low point with very little time spent in-between. On the one hand, I’ve accomplished more than I typically do. Thanks to several new tactics for fighting brain fog (which I’ll cover in a future post), I’ve been extremely productive. 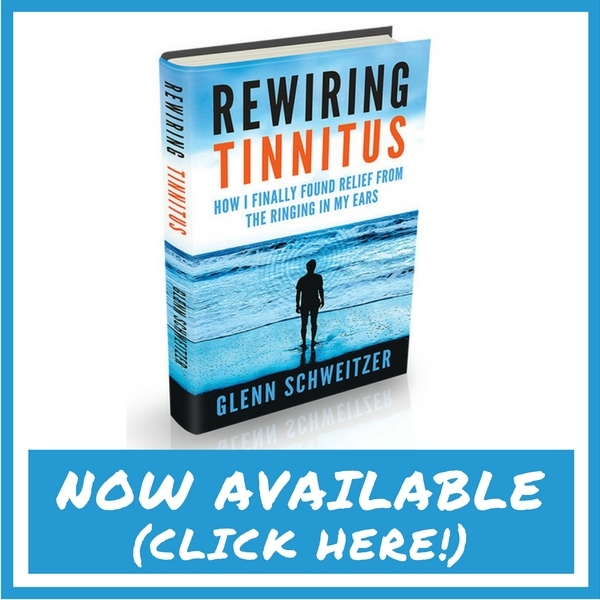 I finished the rough draft of Rewiring Tinnitus, my new book, and have been hard at work on the editing process. I’ve had some remarkably good days lately. But I’ve also been pushing myself out of balance again. All the signs were there. My Tinnitus has been much louder, my stress levels have gone up, and I haven’t been sleeping as well. Clearly, I’m still quite good at denial. It all came to a head this past Saturday. On Thursday, I published my first video and the response was beyond anything I’ve ever experienced. I watched in amazement as thousands of people heard me speak for the first time. It was exhilarating. I was glued to the computer all day Thursday and Friday. But by Saturday morning, the “high” was over and all the days I had spent ignoring the warning signs had finally caught up with me. I woke up exhausted and felt terrible for the rest of the weekend. I still don’t feel well. But after everything I’ve been through, I do know when it’s time to put my foot on the brakes and get back to the basics. To put self-care back at the top of my list of priorities. My life is not what it used to be, and my new normal is anything but normal. But I love life again. And there was a long time when I thought I never would. In my opinion, conquering Meniere’s disease is living life to the fullest extent that you’re capable. It’s having an optimistic, yet realistic understanding of your situation. It’s accepting your new limitations but constantly searching for ways to better yourself. When facing such a terrible adversity, there are really only two possible outcomes. We either rise to the challenge, and grow into a more developed person, or we crumble under the weight of our circumstances. We may not be able to change the fact that we have Meniere’s disease. We may not even be able to improve our symptoms. But that doesn’t prevent us from having a good life. It may not be the life you planned or the one you hoped for, but it can still be beautiful, even in the face of pain and suffering. I didn’t expect the life I have, but I appreciate it now, more than I ever thought I would… or could. And in that way I have found success. I am proud to say that I have conquered Meniere’s disease. Thank you for sharing. I mean live with this quote. “You either get bitter or you get better” I’ll try to find your “brain fog” somewhere.